Here's the answer for those who saw the lateral thinking post! So, today we have the honor to interview Ron Rosenhead, who is Managing Director of Project Agency. He first became interested in project management when involved in a major change management project. Since then he has run many project events and workshops, helped organisations develop their own project management system and spoken at conferences. How does your day usually look like? I travel a fair amount in the UK and I chose to use the train a lot. This gives me time for reading and relaxing. What do you see as a major change in trend in project management for 2013? I am writing a book on project sponsorship with Vicki James & Peter Taylor. I think this will be a big area in 2013 and not simply because of the book we are writing. I am getting more and more enquiries about this area. 3 qualities every aspiring project manager should have. Tell us a little more about Project Agency and what training programs are conducted? Are there any training's for people stepping into project management? A lot of our work focuses on those who are professionals and find themselves ‘involved with project management’ but have not had very much training. One of our courses: We have had over 14,000 people on our Perfect Project course. 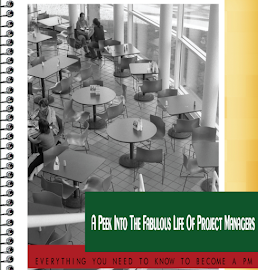 It is tied, tested and practical and is aimed at those who are new to project management. Some of our courses are customized to meet client needs however I would judge around 80% are new to project management in some way or other. We also work 1 to 1 with individuals, coaching and working with them to deliver projects. Three of the glasses below are filled with orange juice and the other three are empty. By moving just one glass, can you arrange the glasses so that the full and empty glasses alternate? Try out and let me know if you did find the solution. This is my first. And I thought I’ll share it with you. In all these years, I have made umpteen resolutions, written about it, scribbled on books, index cards, made notes to self and somewhere down the road I have dropped them and never gotten back. This year was different. I didn't have any resolutions. Not one. It's February of course now and so far I am on track. Breaking resolutions is so common that I think we have stopped feeling guilty about it. We make resolutions that we know will get us off the track at some point. 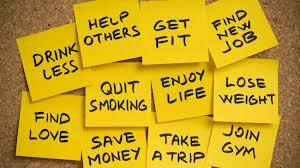 I didn't make any resolutions- that way I didn't put any pressure on me to succeed. I went for basics- I just wanted to be happy. Every day I decided what would make me happy and just went with it. Some days I read, some days I looked into new certifications, some days I went for a walk. I want to wake up happy. I kept doing things if I liked it- I never forced myself to exercise, if I didn't want to do it I didn't Instead I just walked within my apartment or did 3 crunches. I stopped waiting- For things to happen obviously, I started moving around more. So, I disconnected by cable, with no TV shows I had to step out for air. If I really wanted to watch something, I did via internet and that took time to hook up and then connect my laptop to the big screen TV and then watch it. Too much trouble, instead I just went out for a stroll. Plus I took the meaningless chatter out of my head. I look for peace- I did through books, my strolls and tried to center myself. I sit quietly for 5 minutes, do some very basic yoga when I can and get back to my normal life. I used technology to its very minimum- I own a weighing machine for the last 5 years. I rarely weigh myself now, I do it may be once a week to keep a track otherwise my jeans does the rest :) Oh and I use an iPhone app called “Lose It” (the free version) to keep a track of the food that I eat. You can use a food journal. 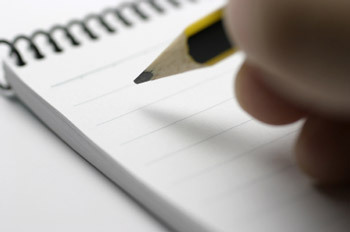 I have used it before and then stopped using it because I don’t like the idea of writing down everything I eat. After a while I really wanted to know what was going in my tummy and I got back to it. Just because I have to log it, I try to eat right. I've made by peace with failure- I have failed too often to know I will be fine even if I fail. So, when I do things I feel uncomfortable with; I am ok. I know I have failed and I know I don’t want to fail. So, I stop thinking about it, I go read something or write a blog post and forget about it. It’s OK to fail. I move- I try to. I take the extra initiative to clean up the kitchen, organize my wardrobe, arrange my book shelf, find those family albums, index the DVD’s- anything that doesn't allow me to sit. If you get tired, take a 5 minute break and then get back to it. Moving is a habit for me, more I do it, easier it becomes. I don’t want to lose weight- I don’t. More I attach numbers to my goals, more the pressure is. I want to be healthy and happy. So, I keep to the basics and try to add something new to it once in a while if I want to. This is the best year I have had so far, because I am at peace with myself. I have stopped comparing myself with others, I have stopped looking at how green the grass is on the other side and I just look at me. 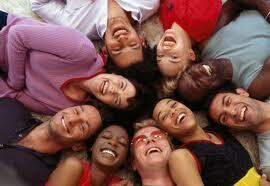 Create a positive environment- Do something that gives you happiness everyday. Connect with people, write a blog post find a good supportive system for yourself. When I moved to this city (Hyderabad, India), I didn't really know a soul, didn't have any friends and I missed mine in States. I had really bad days, so I finally decided enough is enough and I have to find a solution to it. I started my own group through meetup (meetup.com) and found similar minded people who soon enough became friends. We go for outings together as a group, we have members from different walks of life and profession, we get to learn from each other,watch movies, share some laughter and even do a picnic. Stop waiting, coz no one’s coming to help you unless you want to help yourself. 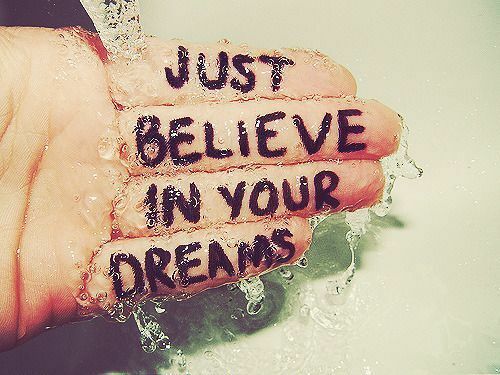 Do it for you- not because everyone else is doing it. Only when you are ready, want to try or you know it’s time- go for it. One change, any change, a small change will do! Ultimately be happy and help someone today, it will give you some happiness and peace. 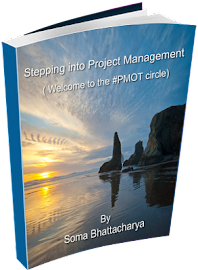 To learn more about project management read my book Stepping into Project Management (Welcome to the #PMOT World). To connect with experienced Project Manager's from all over the world, get mentored or shadow for a day see the SIPM Community. 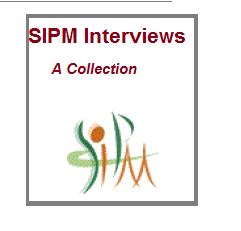 Why you should be part of the SIPM Community? Over the years the blog has been there aimed to inspire others in their journey to project management. Writing for it and reading emails, tweets and your support has kept me going. The community has slowly grown, subscribing through RSS, emails and newsletters. Thank you so much for being part of it. Blog- I usually post twice a week with the latest happenings in the pm world, interviews with project managers, book reviews, sharing personal experience, inspiration and articles to keep you going. Community- A great resource that’s still free for all users, it’s a great platform for you to mingle and network amongst the project managers. You have the ability to connect with project management professionals from all over the world. Find your mentor, find internships and even follow them for a day. 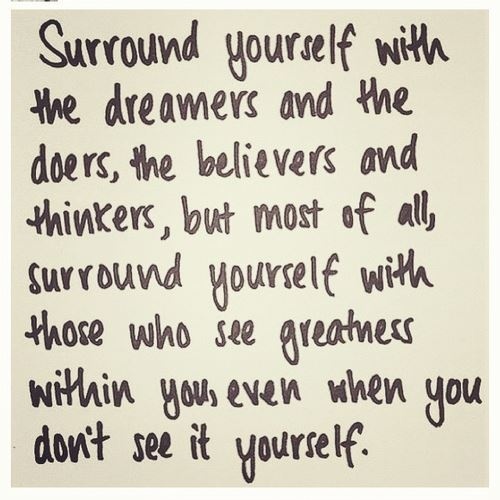 Best part- find them from all over the globe and you don’t have to convince them to mentor you. They already want to. Newsletter- Once in a while I will send you newsletters with the insiders peek into the SIPM world, connect with you and give away info and prizes. In your inbox- you can subscribe to the blog through email. That’s right, if you can’t remember blog URL’s or don’t have the time to keep coming back to it why not just subscribe through emails. RSS feed- Don’t want an overcrowded inbox, try the RSS feed and get the stories your way. No marketing- Don’t worry, your emails are never used for marketing or given away. I don’t even use it to email you (seriously), I will use it when I need to communicate with you only. Ask around and hear it for yourself. E-books- yes there is the paid one and there are the free ones as well. The whole idea of creating the community was to encourage, provide information and create a platform for newbie’s joining the profession and you don’t have to carry wads of cash with you to learn. Great downloads-Apart from the e-books, there are free downloads available once in a while, it can be a booklet to start blogging or templates to manage your life. Facebook Page- The FB page is an initiative to bring in the platform to the more socially active generation. Apart from sharing posts from the blog, I usually share quotes, good reads, project management giveaways, seminars etc. With 170 members, its growing everyday. Twitter updates- It’s where I connect on a one on one basis, I tweet primarily about project management, share pics from my everyday life and chat up with you. If you have found yourself a mentor, been inspired through the blog, moved into project management read my book or just want to say "hi" feel free to drop me an email. While you are busy with your life and your soaring career, help someone out today because someone helped you too.